Nature continually beguiles us with its wonders – the proliferating vegetation with myriad plant species and forms, their spatial disposition, the light that plays across them and the overall effect – and capturing them photographically is at the heart of the exhibition. 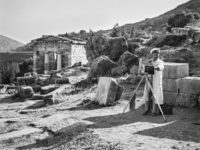 The works on view manifest close observation and sensitive perception of flora and the verdant environment as documented with the camera, while also encouraging us to look attentively at photographic images crafted by two very different artists. It’s a question of reality and its interpretation. The works of Karl Blossfeldt (1865–1932) and Jim Dine (b. 1935) provide a compelling springboard for examining this question. Even though the two artists are generations apart and represent very different artistic approaches, their works make it clear that the mystery of nature, its magic as well as its regularity and order, is a never-ending source of creative inspiration. 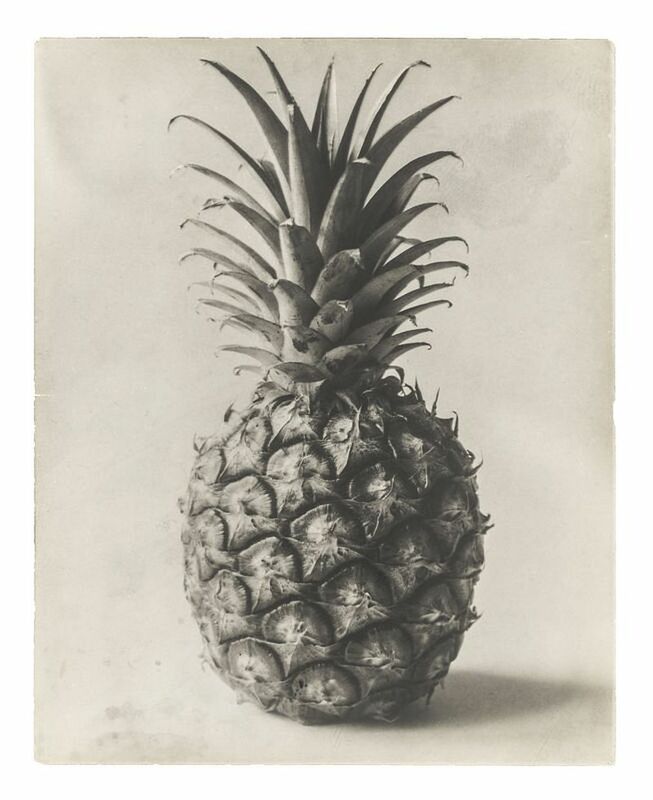 Blossfeldt and Dine are united by their love of nature, their nuanced engagement with their pictorial subjects, and also the painstaking precision of their photographic compositions. Karl Blossfeldt, who is represented in the exhibition by over 70 original photographs made into gelatin silver prints, pursued photography as part of his teaching activities at the Unterrichtsanstalt des Königlichen Kunstgewerbemuseums (Institute of the Royal Arts & Crafts Museum) in Berlin. Born in Schielo (Harz, Saxony-Anhalt), Blossfeldt studied at the institute between 1884/85 and 1888 and subsequently worked as a modeler in the bronze workshop. 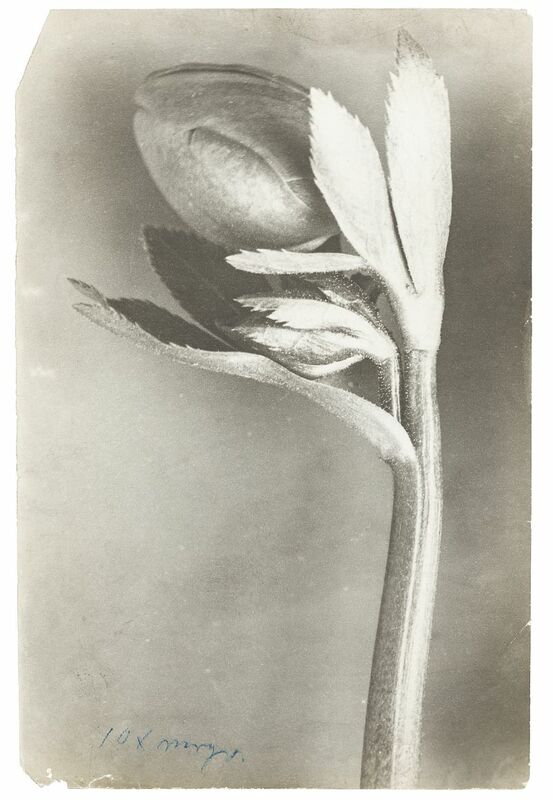 The year 1898 is thought to mark the beginning of his photographic activity, because Blossfeldt started that year to use photographs in his art teaching as models for handcrafted pieces and individual drawings. Photographic images not only enabled him to present to his students the plant material he had collected in the environs of Berlin in a freshly documented state – rather than trying to use quickly-wilting natural plants – it also let him magnify their smallest details and occasionally show his specimens in a specially prepared and arranged form. Blossfeldt focused on the fascination of nature’s formal repertoire, which he demonstrated in his photographs with the greatest of precision. He typically showcased the form of a particular plant before a flat, neutral background. In this respect, he used one of the purest forms of pictorial composition, zeroing in on the relevant subject matter in quasi-scientific fashion. Blossfeldt’s rise to fame was launched by an exhibition of his photographs in Berlin in 1926 by the gallerist Karl Nierendorf, who showed them alongside sculptures from Africa and New Guinea. In 1928 Blossfeldt published his groundbreaking book Urformen der Kunst (Art Forms in Nature), and at the beginning of 1932 Wundergarten der Natur (The Magic Garden of Nature). Karl Blossfeldt died on December 3, 1932, in Berlin. Today he is one of the most renowned artists and photographers of the twentieth century. Along with August Sander and Albert Renger-Patzsch, Blossfeldt ranks as one of the key figures of the New Vision movement in photography. 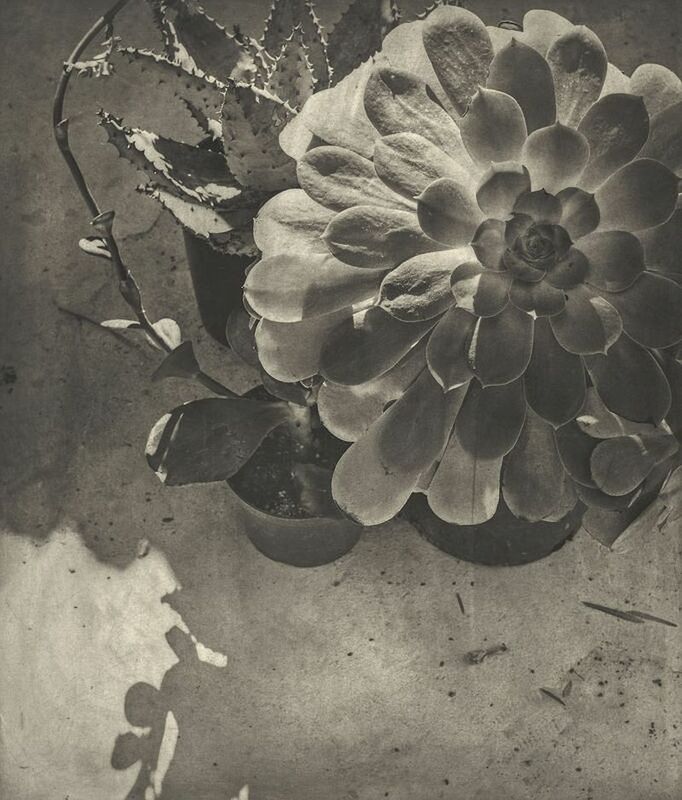 The exhibition “Poetry of Plants” presents Blossfeldt’s works in conjunction with around 40 heliogravures by the American artist Jim Dine. 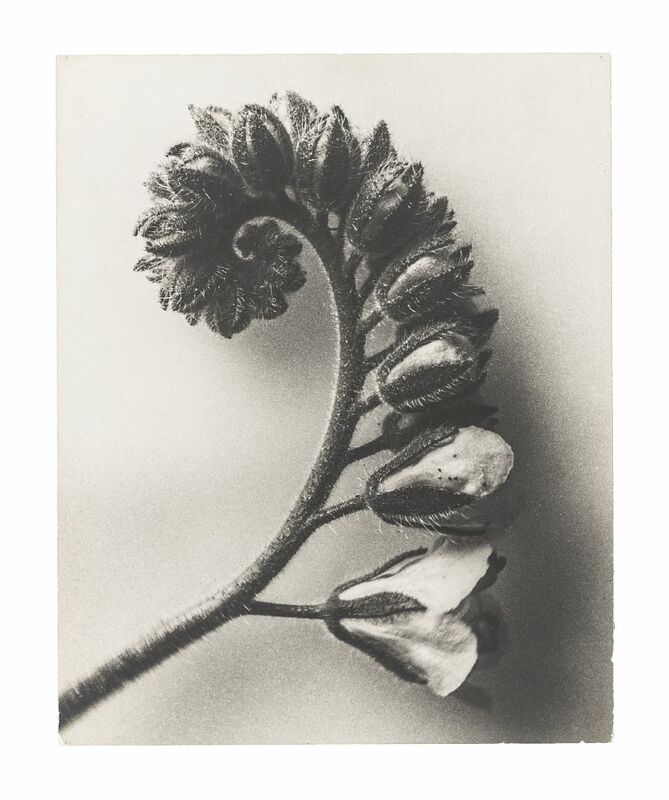 They are larger in size and explore the lyrical aspect of the plant world in a manner that is formally remote from Blossfeldt’s approach and yet still related in some ways. In both cases we encounter a highly intense examination of the subject with the camera used to capture its details, as well as the integration of the individual images into an insightful series. Jim Dine, who is at home in many different artistic media, whether painting, sculpture, printmaking, literature, or poetry, first made a name for himself on New York’s Pop Art scene in the late 1950s. He is well-known today mostly for motifs such as bathrobes, heart shapes, paint palettes, brushes, and tools. But nature’s creations have also been a consuming interest for the artist, as is evident from his many depictions of trees, branches, and flowers and their inclusion in his installations. As early as 1969, he already made a portfolio of Vegetables, his earliest work dealing with botanical forms and colors. 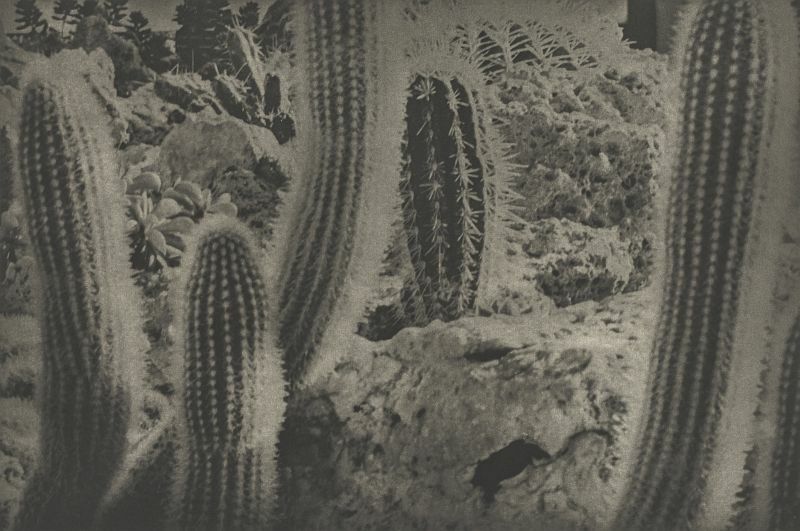 Dine’s passion for nature and the plant world is likewise reflected in the Entrada Drive series of heliogravures from the early 2000s that is on display in the exhibition. These works are presented for the first time in Europe and have at all only been exhibited once at New York’s University Museum “Neuberger Museum of Art”. They date back to a working stay in Los Angeles in the winter of 2001, when the artist took up residence on Entrada Drive with his wife, Diana Michener. What he would remember most was the peculiar atmospheric light, which felt to him like a “gray July.” The heliogravures based on photographs Dine took in LA accordingly have a somber tonality in some cases. These are interspersed in the show with photos the artist took in botanical gardens in Berlin and New York. In contrast to Blossfeldt, Jim Dine looks beyond the individual plant forms at the broader picture, at scenes brimming with vegetation, bushes, and shrubbery. 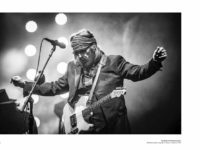 With their finely calibrated gray tones, his heliogravures betray a long and elaborate process. 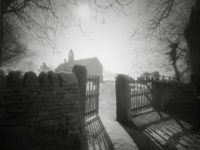 These are handmade works, based on photographs – in this case medium-format black-and-white negatives – that are converted to slides in the original size of the planned heliogravures and exposed in contact with light-sensitive, gelatin-coated copper plates. The idea of bringing together works by Karl Blossfeldt and Jim Dine was inspired by research into the collection’s own archives. The presentation of works by Karl Blossfeldt is based on twenty years of close cooperation between Die Photographische Sammlung/SK Stiftung Kultur and Berlin University of the Arts, which owns over 600 of Blossfeldt’s original prints along with other material. A large number of these works are on long-term loan to Die Photographische Sammlung/SK Stiftung Kultur, and these are sometimes exchanged with or supplemented by holdings from the university and featured in exhibitions or publications. In 2009 an annotated catalogue raisonné was compiled of the entire Blossfeldt collection, accessible on the website of Die Photographische Sammlung/SK Stiftung Kultur (www.photographie-sk-kultur.de). The presentation of Jim Dine’s Entrada Drive series of heliogravures draws on an extensive collection of approximately 1,500 photographic works that the artist has entrusted to the care of Die Photographische Sammlung/SK Stiftung Kultur in 2005. This is the fourth exhibition that the institution has dedicated to the artist.